Inspiring and educating the next generation of farmers. We have been keeping up with 5 videos a week! I have been focusing on the specific questions that I get from teh audience before we head out into the field for the farm season. We have a new season of the podcast up! Season 2 we have solved some of our technical issues, revisited our format, and quite honestly I really love these episodes. We have 6 episodes airing this season, every Thursday morning for the next 6 weeks. See the podcast on the iTunes store (it’s free). Make sure to subscribe to my email list below to get updates when new content comes out. I have been working more intensively in the brewery this winter. We are making a lot of changes to our internal structure and I’m having a blast as always being a part of that. I get chicks and bees delivered in April and then the hops start coming up in May. I will have more content from outside coming as the weather warms up. It was 3 degrees outside when I woke up this AM! Help us cover our costs and continue to produce the best agricultural content around. We don't believe in donate buttons, instead, treat yourself to something fun and we'll take a cut. Sign up for a weekly summary of the new content we put out. No SPAM, no garbage, just a reminder that we're doing fun stuff. 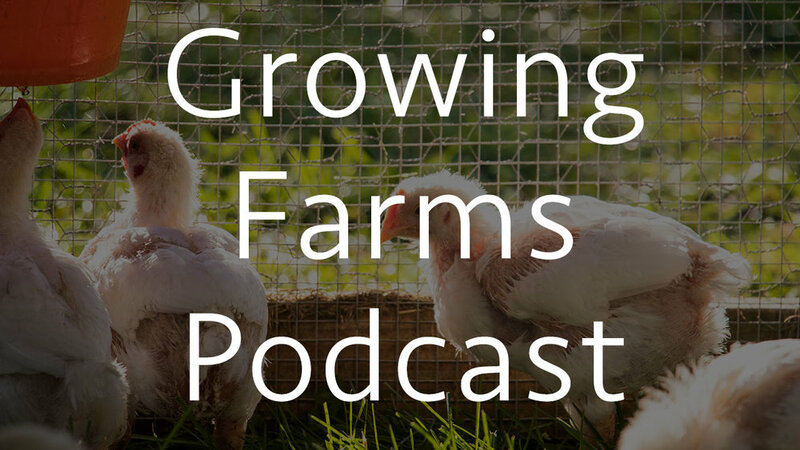 Have a question about farming, running a farm, agriculture in general, YouTube, podcasting, whatever? If there’s something that you just need to know more about and you think I can help than let me know. Leave you name and a short, single question, and I will create a piece of content around it. Subscribe to the YouTube channel and the email newsletter to get notified when the answers come out. Thank you for writing in. Subscribe to the YouTube channel to see your question get answered in a future video.